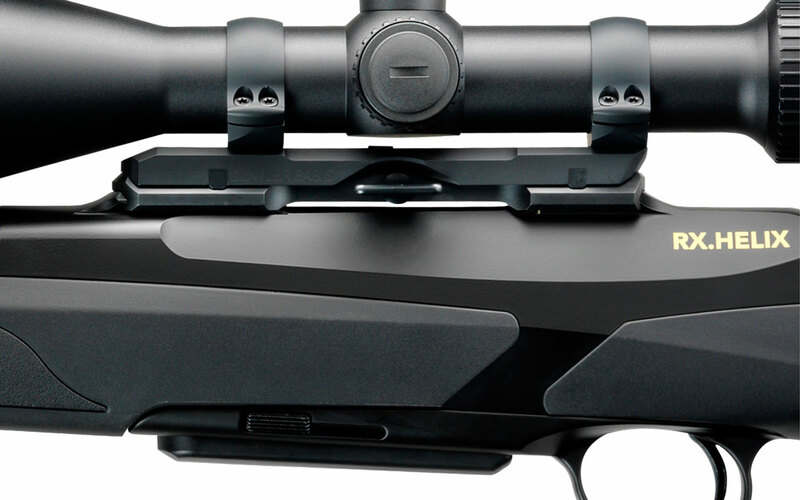 The mount joins the gun and the scope. 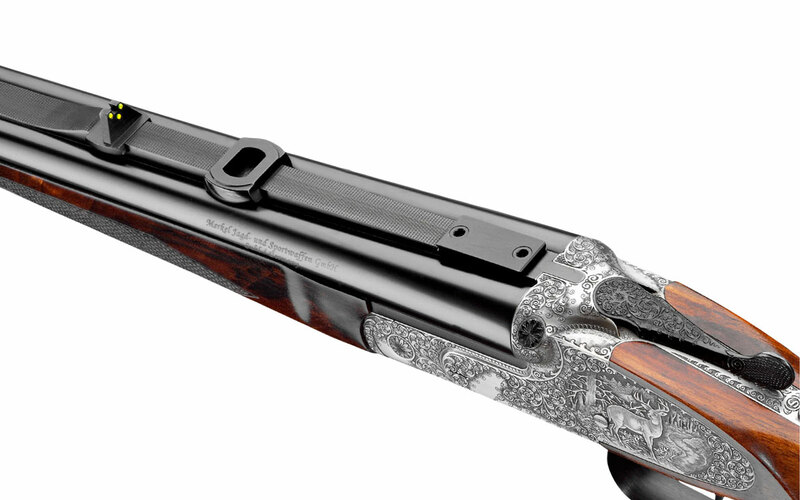 It is the guarantee of a constant point of impact. 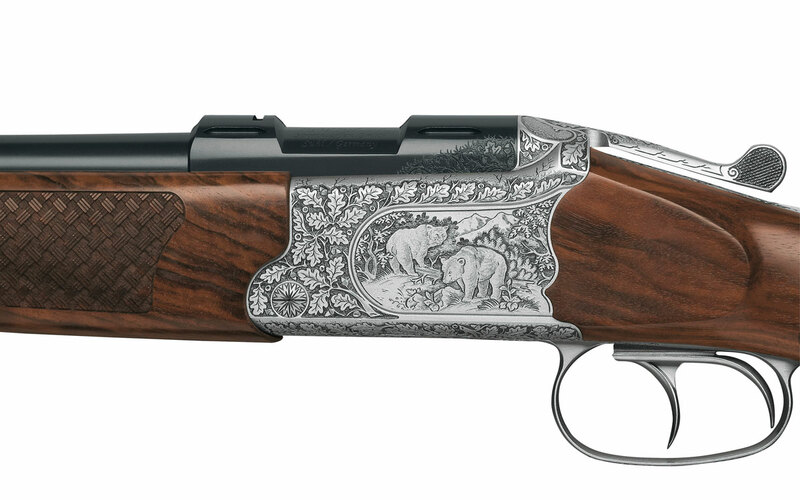 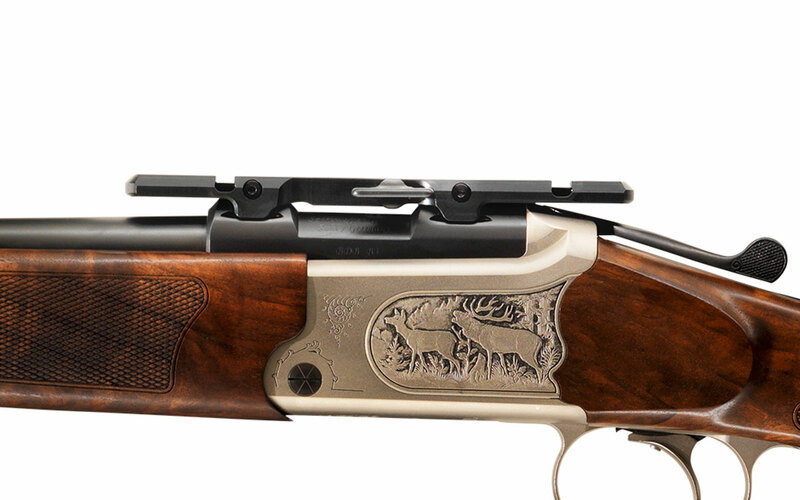 It must suit the rifle and its characteristics. 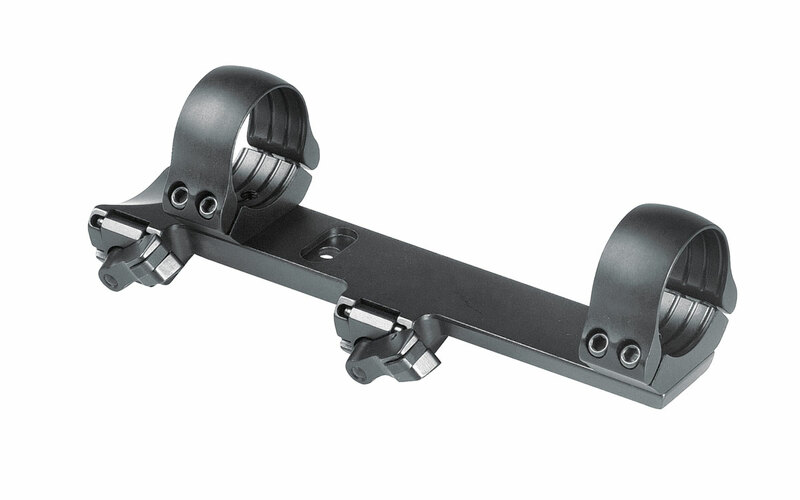 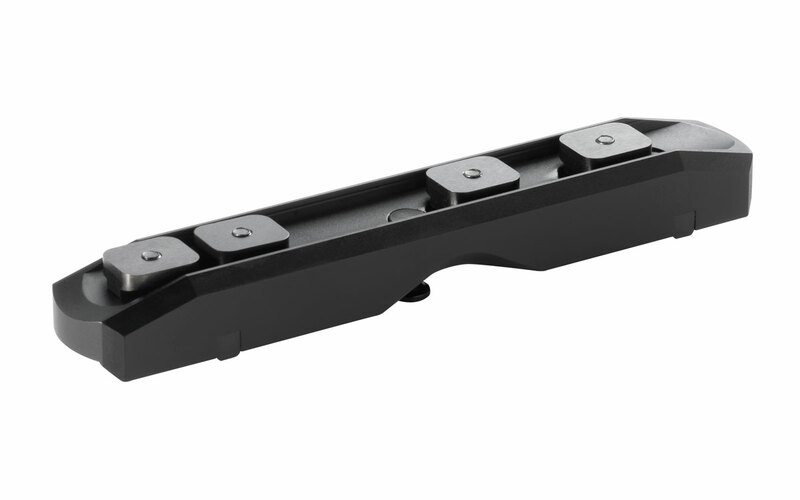 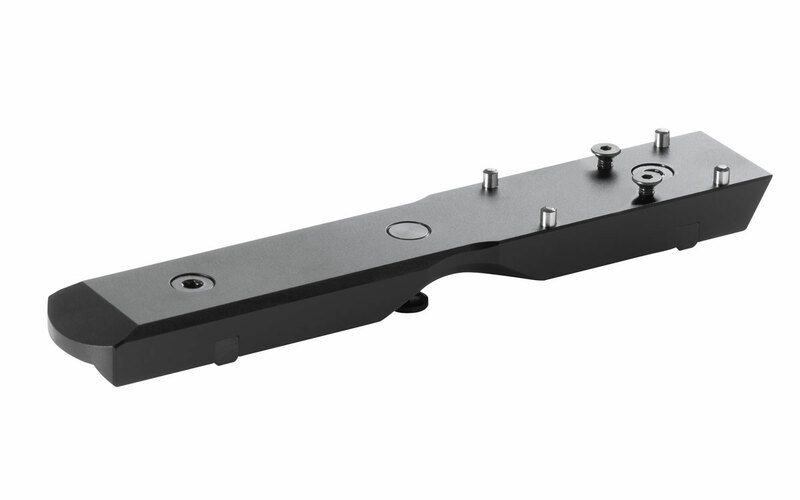 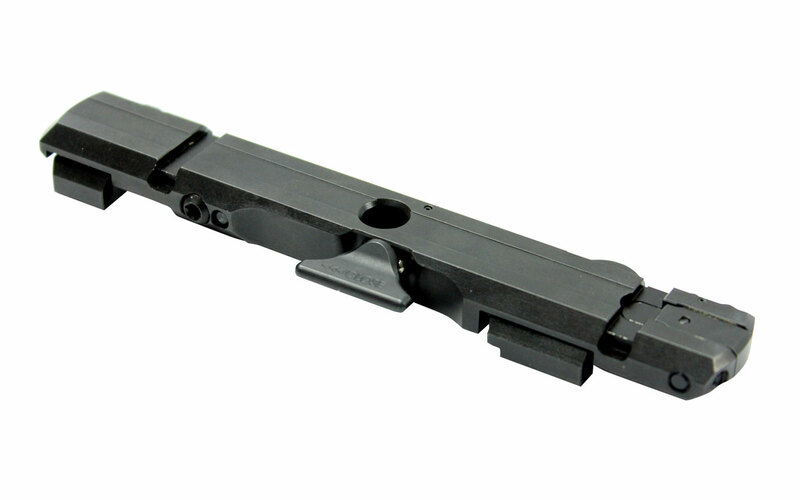 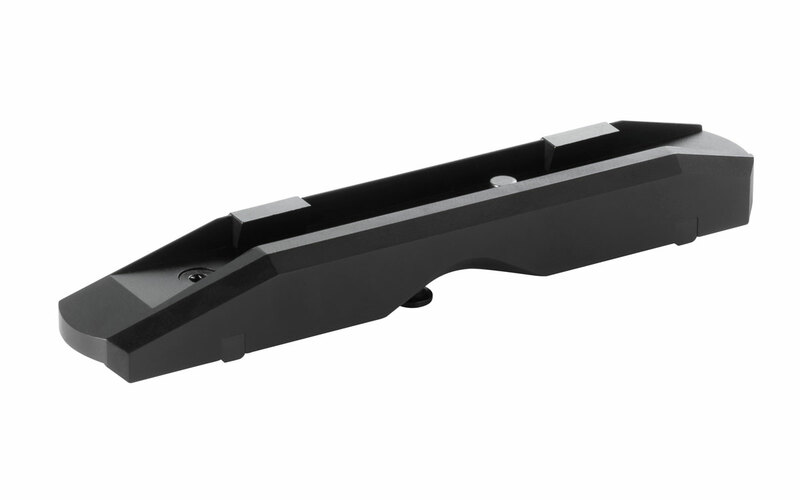 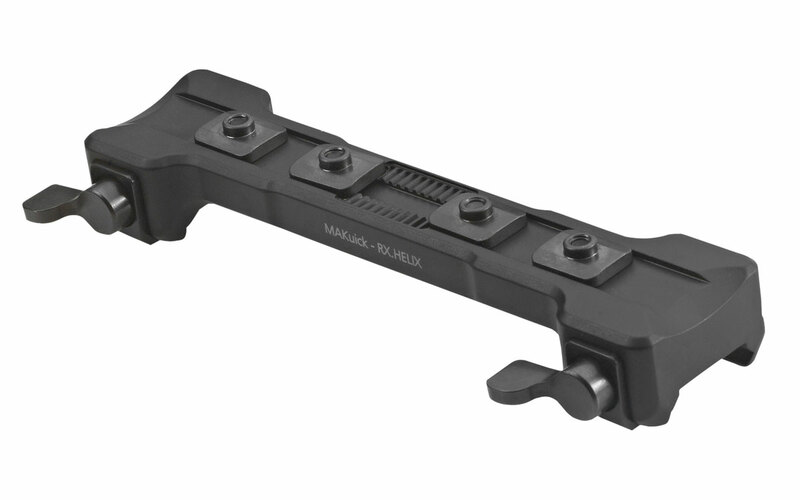 This mount model requires 4 adaption slots in the barrel in the barrel – this is a standard feature in the Merkel MEM KR1, B3, B4, K3 and K4 rifles. 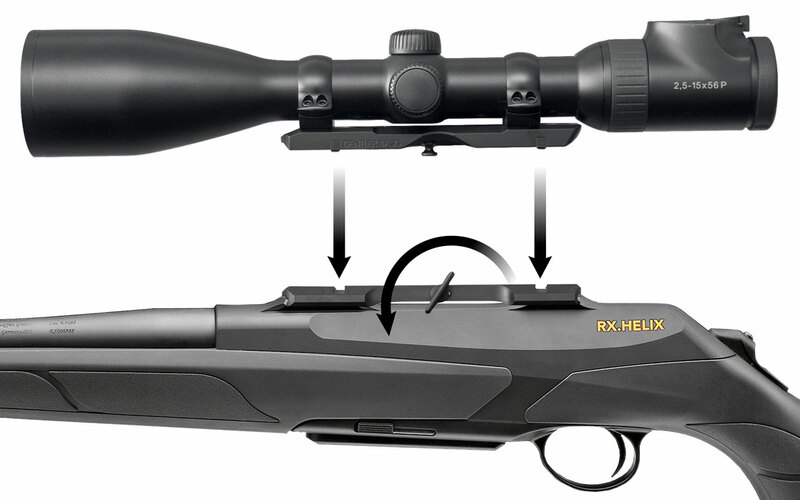 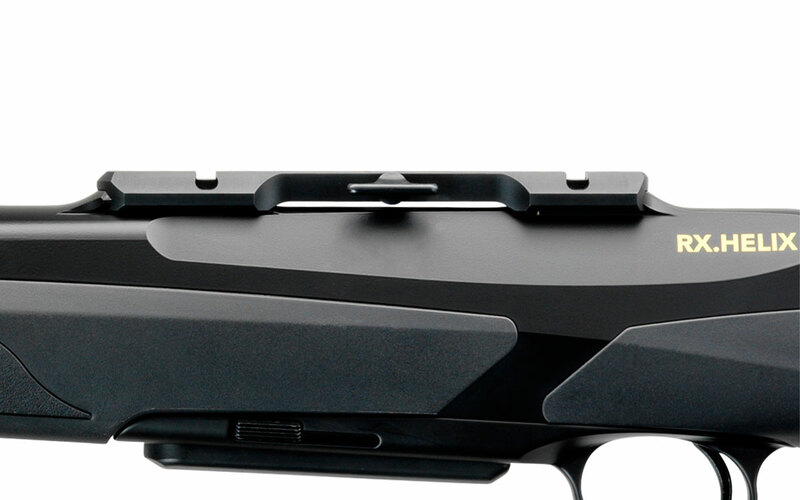 If the scope is attached, the mounting base catches directly on the barrel. 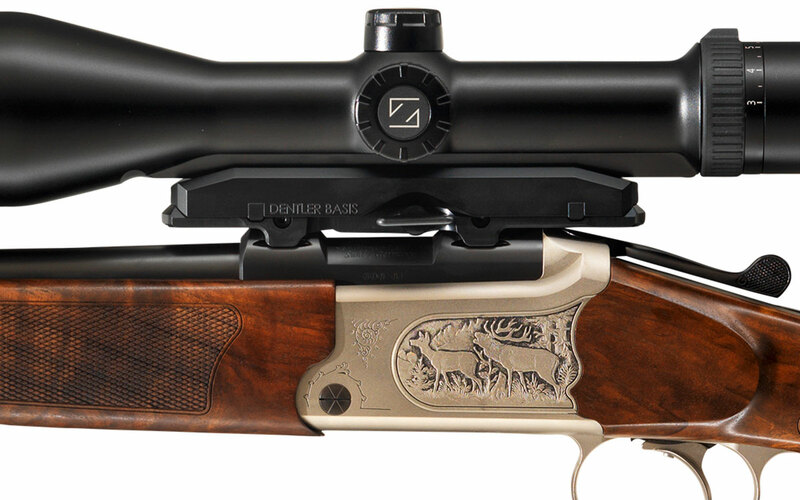 A low sight line, high stability when shooting and an identical point of impact can be taken for granted. 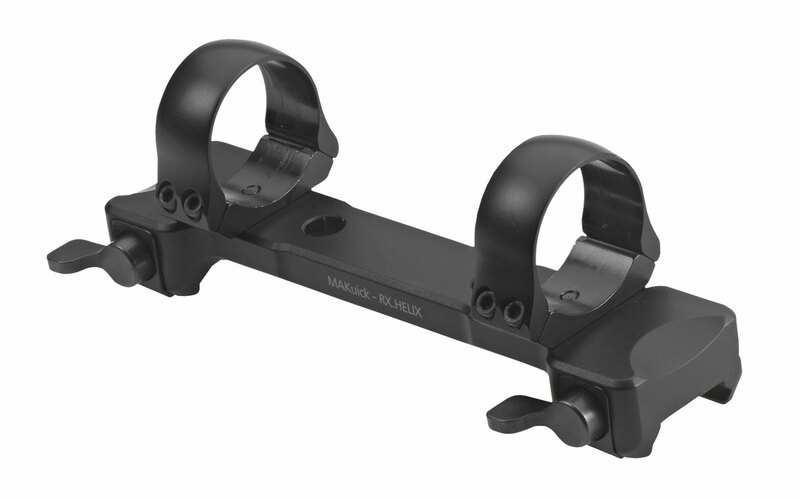 This is right mount if different scopes are to be used. 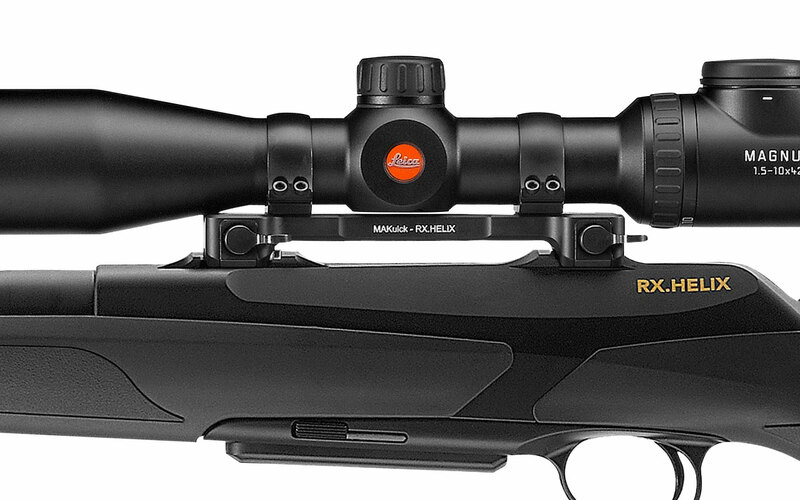 Upon attachment the scope is fixed at a point 90 degrees to the barrel and then pivoted to the barrel axis in the mounting base. 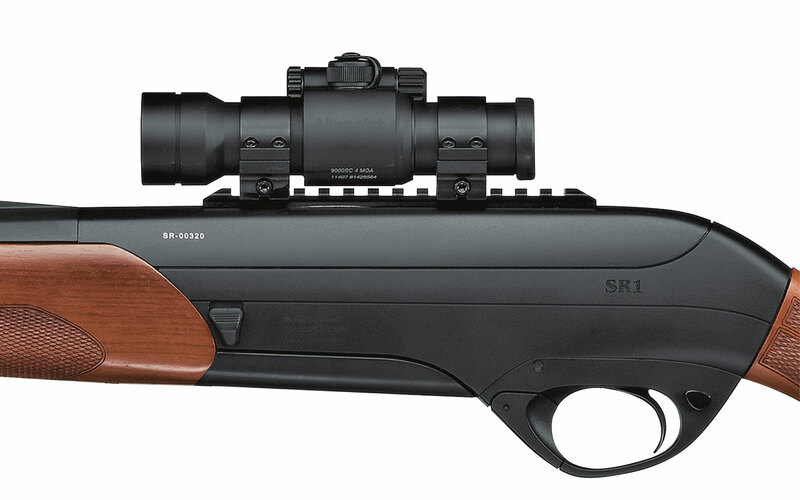 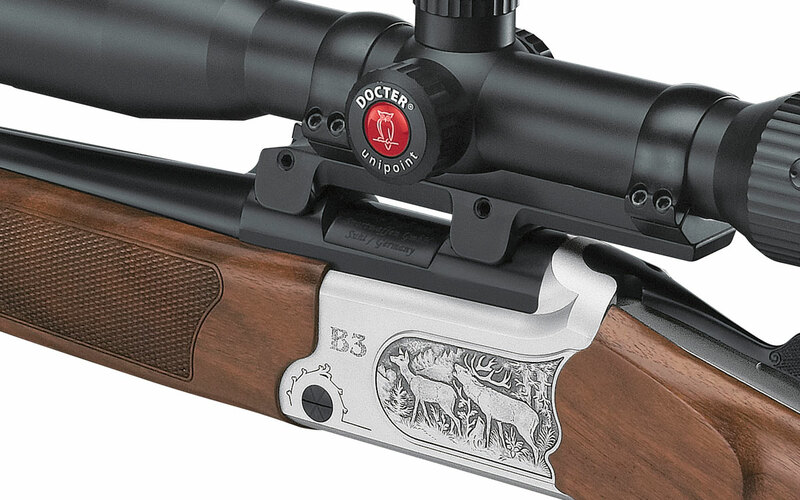 Four receivers on the barrel are the standard Suhl tilt up mount basis on the rifles of the B- and K-classes. 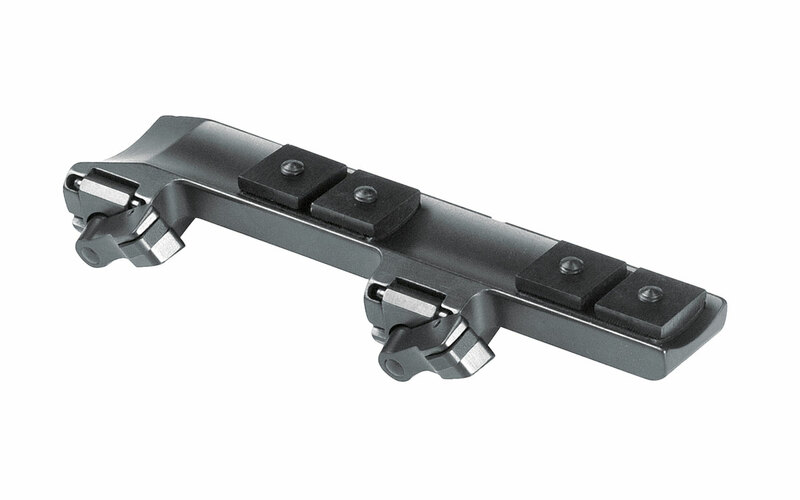 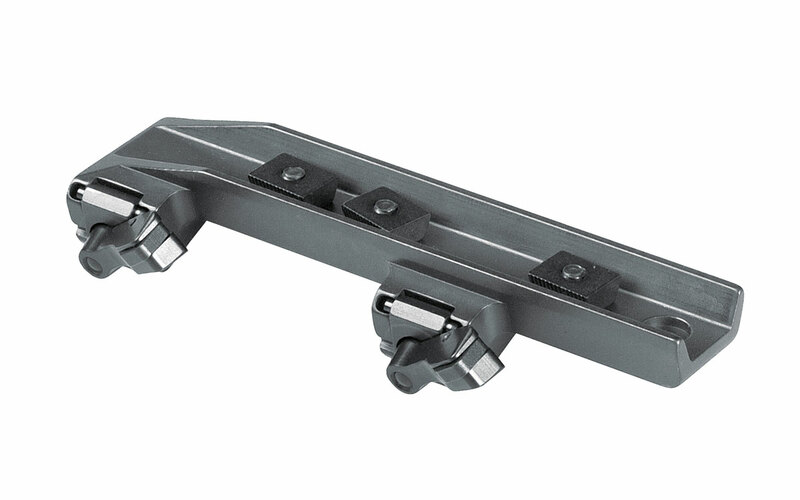 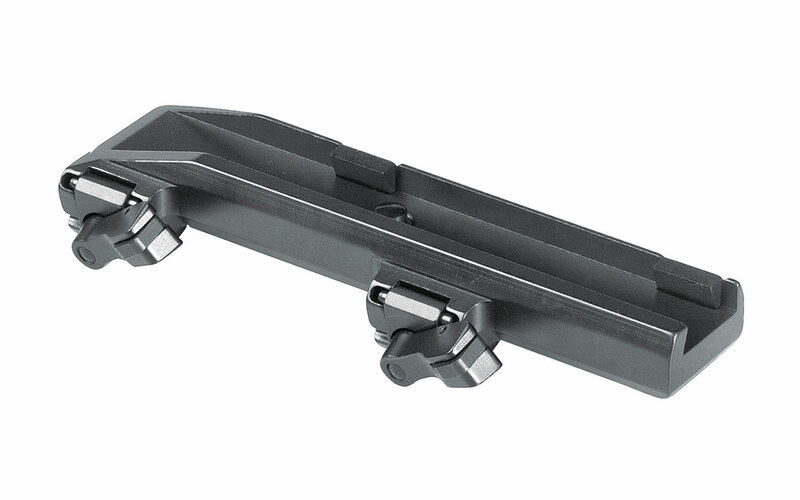 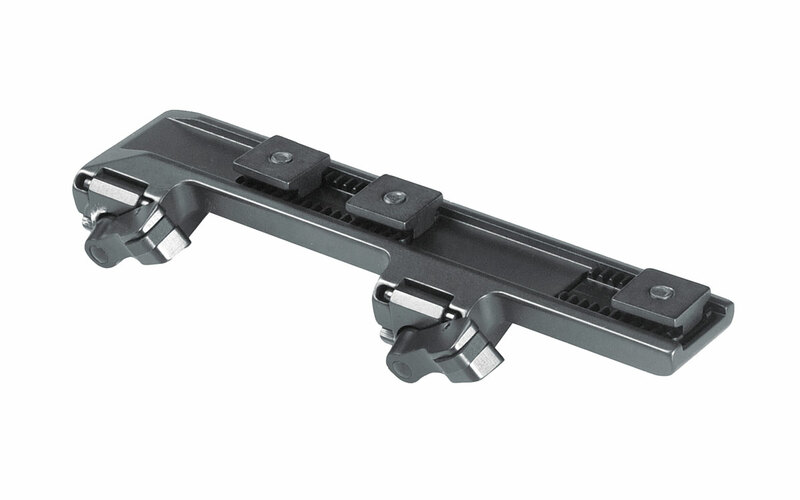 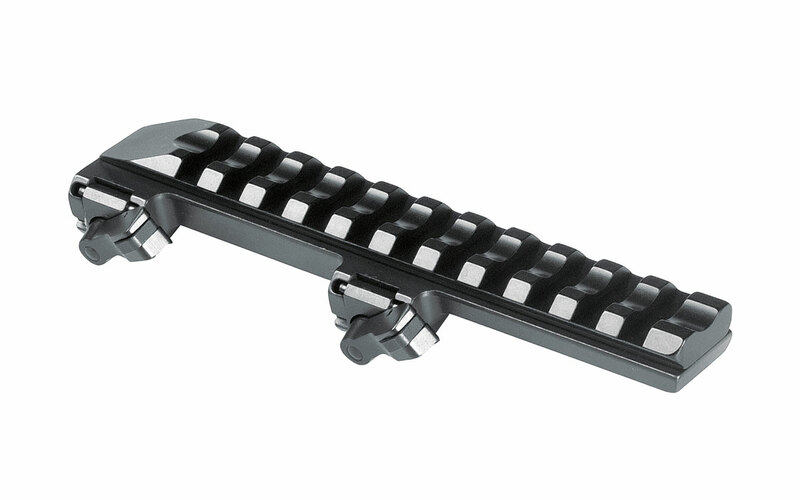 The Dentler basis rail noticeably locks into the mounting basis. 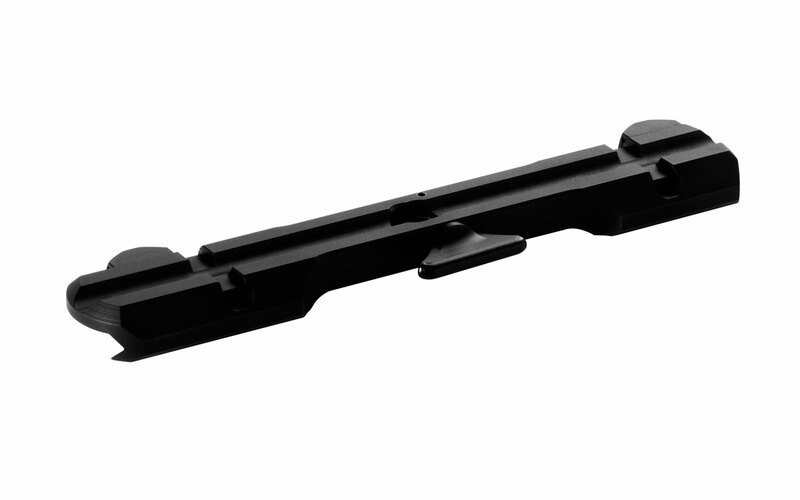 A low line of sight, highest shot stability and identical points of impact are given by locking the scope into the basis rail. 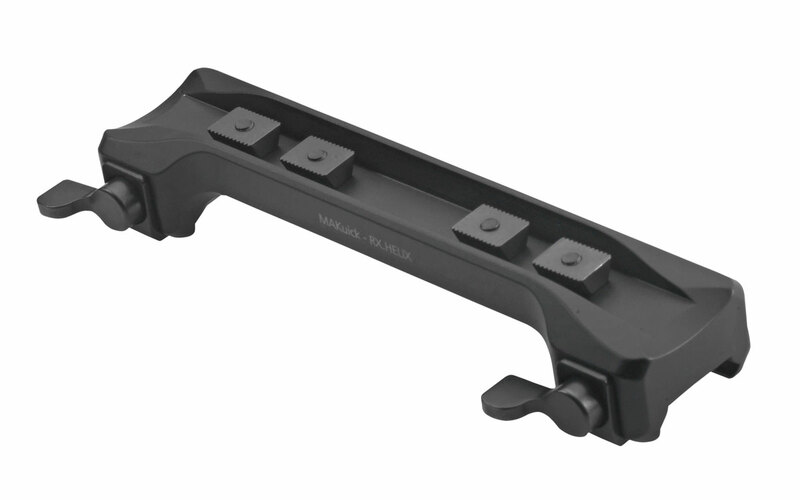 The Weaver rail was the world’s first rail system for mounting scopes on guns. 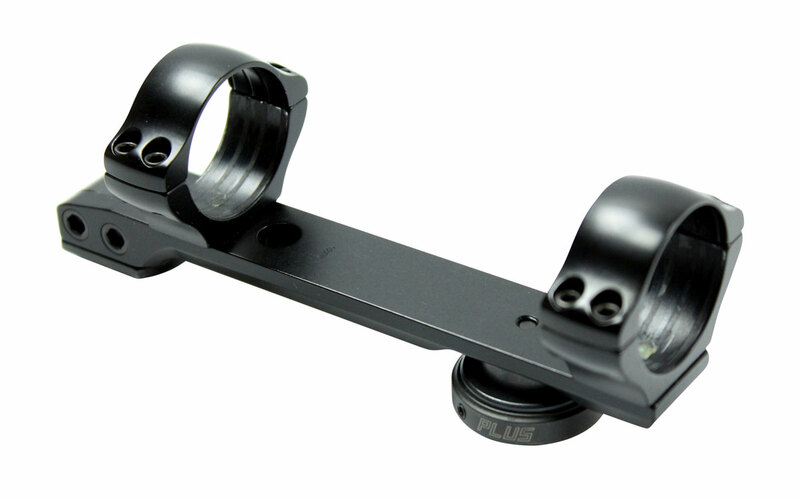 It allows for a quick and self-repeating mounting of the scope and is a widely accepted, cheap mount.